Getting married in China? Don't expect to keep the house in the divorce. There’s a new fad taking over Chinese culture, and it’s based solely here in the west. In China, the new materialism culture that is sweeping through the country is leading to a rise, both in marriages and in divorces. That’s right, the lack of women in China is leading to Chinese girls (or “girls”) marrying and divorcing men for their money, as well as vetting future husbands on their cars, homes, and money well before marriage. Well, the shakedown will not continue; the Chinese Supreme Court has changed China’s divorce laws to say that whoever buys the house gets to keep the house, no matter what. That’s right, if the husband buys the house with his money and the family splits? He keeps the house. If the bride’s parents put forth the money to buy the house? The bride keeps the house. There were 2.68 million divorces in China last year; that’s a 7 percent increase over the previous year, and China’s divorce rate has risen 7 percent per year for five years in a row. 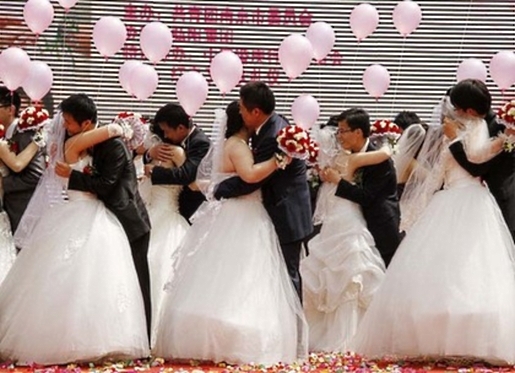 ”Hopefully this will help educate younger people, especially younger women, to be more independent, and to think of marriage in the right way rather than worshipping money so much,” said Hu Jiachu, a lawyer in Hunan province. Yeah, good luck with that, buddy. Once the genie is out of the bottle, you can’t stick it back in quite that easily.